The Raving Queen: Welcome Back, Paula!!!!!!!!!!!!!!!!!!!!!!!!!!!! 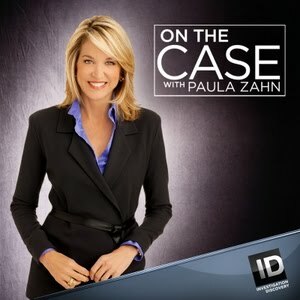 It was so much fun, darlings, welcoming Paula Zahn back to her usual 10PM Sunday night spot on Investigation Discovery. She had on a stunning black lace ensemble, but still has done nothing about the nose. Paula, dear you are NOT BARBRA; she can get away it, but you I am not so sure. Anyway, we were back on the case with Paula, involving a murder taking place in Gainesville, Georgia, on Valentine's Day, 2010. Richard Schoeck was shot down, while meeting with his wife, Stacy, at Belton Bridge Park, in Lula, to exchange romantic Valentine's Day gifts.. Richard was 45, successful, and had no reason to expect he would be murdered. But I am telling you, dolls, as soon as I saw this, I knew right away that Stacy was behind it. Turns out she was in cahoots with Richard Coleman and Lynitra Ross, to kill Richard, in order to collect--what else????? ?--a $500K Life Insurance Policy!!!!!!!!!!!!!!! Why is it always the wives, girls?????????? And why do they think they will get away with it????????? They never do!!!!!!!!!!! And, why, Paula, did you not go into these aspects of the story, when presenting it???????? But, you gotta love Paula, hons; she just plows ahead like she is actually doing serious journalism, when what she is actually doing is shilling swag!!!!!!!!!!!! Which us girls just LOVE to watch!!!!!!!!!!!!!!! It's nice seeing you back again, Paula, but can't you find some truly exciting cases??????? With so many wives killing men for their life insurance money, if you believe half of these programs, then straight men are in danger, every time they get married. Which could lead to a decline in population!!!!!!!! Hmmmmmmmm......maybe that is not such a bad idea. How come Martha Stewart's exes (or ex?????) don't go after her for insurance money???????? Now, that would be exciting!!!!!!!!! Probably, they are all buried in Martha's backyard!!!!!!!!!!!!! !